Nicolas Winding Refn has been a darling of the art-house set for years, thanks to his "Pusher" trilogy, but it was in 2008 that he began to reach a slightly broader audience with "Bronson," which featured a terrifying/brilliant turn from Tom Hardy as a hyper-violent sociopath. With the upcoming release of "Drive," his new film starring Ryan Gosling, Refn finds himself poised on the brink of mainstream notoriety. 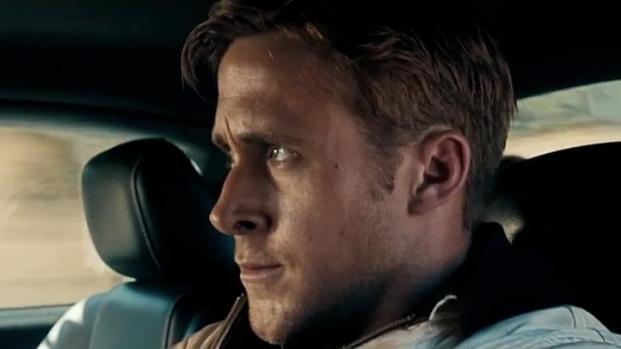 "Drive" stars Gosling as a Hollywood stuntdriver by day, who moonlights as a freelance wheelman on robberies. A chance meeting leads to a very subtle romance with his neighbor, Irene (played by Carey Mulligan), who's husband gets out of jail and promptly hires Driver to help him knock over a pawn shop, a heist that goes horribly wrong. PopcornBiz sat down with Refn this week to talk about John Hughes, Batman's shrink, Grimms fairy tales and a possible sequel to "Drive." "Drive" is—like "Bronson" and "Valhalla Rising"—about transformation. I call this my transformation trilogy... And "Drive"'s about a man who transforms himself into a superhero, which he was always meant to be. Physically, he doesn’t have any (super powers)—that's what makes him interesting, because he's tormented, like Batman," explains Refn. "The great superheroes are the ones who are human, not the ones with supernatural powers. Because once you give them supernatural powers, you take away their moral complexes, they become one-dimensional. It's the difference between the classic set-up in Superman and Batman. Batman is tormented by morality and Superman is just flying around doing stuff." "So (Driver's) power is--he's a stuntman by day, so it's the perfect cover, at night he's an avenging angel and he protects the innocents, he protects the purity of love—that's his mission." The first half of 'Drive,' Irene needs a human being, and so he's a human being. The second half of 'Drive,' she needs a hero, and he becomes her hero. In the elevator scene is where Driver realizes that the circumstances have led to this—they're in an elevator and he knows what he has to do now, and he will lose her forever, so he kisses her goodbye, because he knows he now has to go to the dark side in order to protect her. That's the ultimate love of all—to sacrifice yourself for another." "His dilemma is that when he realizes Irene is in trouble, he should've gone to her with a bus ticket and said, 'Here, honey, get out of town.' Instead, he tries to fix it. And that is when he goes out of his comfort zone, and he's involved emotionally. For him, it has no meaning for him, its all about movement, he doesn’t even get anything out of the heist, its not like he even gets a financial reward, it's something deeper in side of him. He's part of another universe, he's a superhero…it's like, why doesn’t Batman just go to a shrink? Get it over and done with." Refn refers to "Drive" as "John Hughes with head smashing" - which is a great soundbite, but not very instructive. Asked to expound on it, Refn confesses to a deep respect for Hughes. "I'm a big huge fan, because I'm an '80s boy, so 'Sixteen Candles' was a huge thing for me, it introduced me to love in cinema—there's a purity, the American version of love, very clean. Also, the thing about John Hughes that is kind of forgotten about, but he should really be respected for, is that he made films for young people on their terms. His films—especially with 'Sixteen Candles,' 'Breakfast Club' and 'Ferris Bueller's Day Off' and 'Pretty in Pink'—are actually very, very good depiction of being a teenager. He was always on their side, and you very rarely see that. I think he really pioneered that specific genre, a bit like Nicholas Ray did with 'Rebel Without a Cause,' he was on the side of the teenagers, he understood their torment. I think that for me, I first had this idea about the purity of love watching 'Sixteen Candles.' The idea that you could fall in love and nothing about a sexuality or anything that makes it messy or the morning after didn't exist…It was not there, it was not part of the equation, it was about falling in love." Refn and Gosling clearly found soulmates in one another, having already started work on two more films together. Asked what makes their relationship work, Refn refuses to overthink it. "We're doing 'Only God Forgives,' we're shooting that in Bangkok—that's a wild city. It reminds me of a mix between New York and Los Angeles in one city with 12 million people. And then we do 'Logan's Run.' We have some kind of telekinetic relationship; there is a sense of an alter ego complexity. And I think if you are able to have that with an actor, I did four movies with Mads Mikkleson, when it works it works, and I don’t try to analyze, if I analyze, then maybe I'll understand it, and if I understand it, then maybe I know how it works and won’t work and I don’t even want to go there—it's like a marriage, you know it." With all the comparisons to superhero lore, the obvious question is whether there's a "Drive 2" in the works, a notion that Refn insists wasn't originally in the cards, but that he confesses has occurred to him. "He goes on to more an new adventures—No, it was never meant to be, but after Toronto last night, I sat through the movie with Ryan, I kept on thinking, The character is born, he's out there, he transforms himself completely into what he's meant to be, he was always meant to be this… He goes on to more and new adventure. What's interesting in the book is that he sees his own death, but I didn’t use any of that because I wanted him to be mysterious, I wanted him to be an enigma. If there is to be a Drive 2, it would be with 2 drivers—maybe there's a driver from his past , (heroes) always need their Lex Luthor… Moriarity." "Drive" opens Friday, Sept. 16.